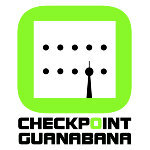 The Global Club Music Network - GCMN, VLAD ghetto folk label - France & Bquate - Colombia are pleased to present "Colombian meets Berlin", the Debut-album of the Colombian-Berlin Project CHECKPOINT GUANABANA. “...Colombia meets Berlin is the sound experience of coming from Latinoamerica to Germany a while ago, finding this awesome Berlin, that we all had heard wonderful things about. 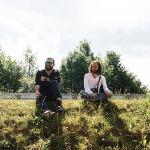 The band have already entertained the crowds of major festivals and venues such as Festival Mundial (NL), Afrolatino Festival (BE), Global CPH (DK), Yaam (Berlin) or Germany´s Carnevals of the Cultures (Berlin & Bielefeld as closing act) amongst others.